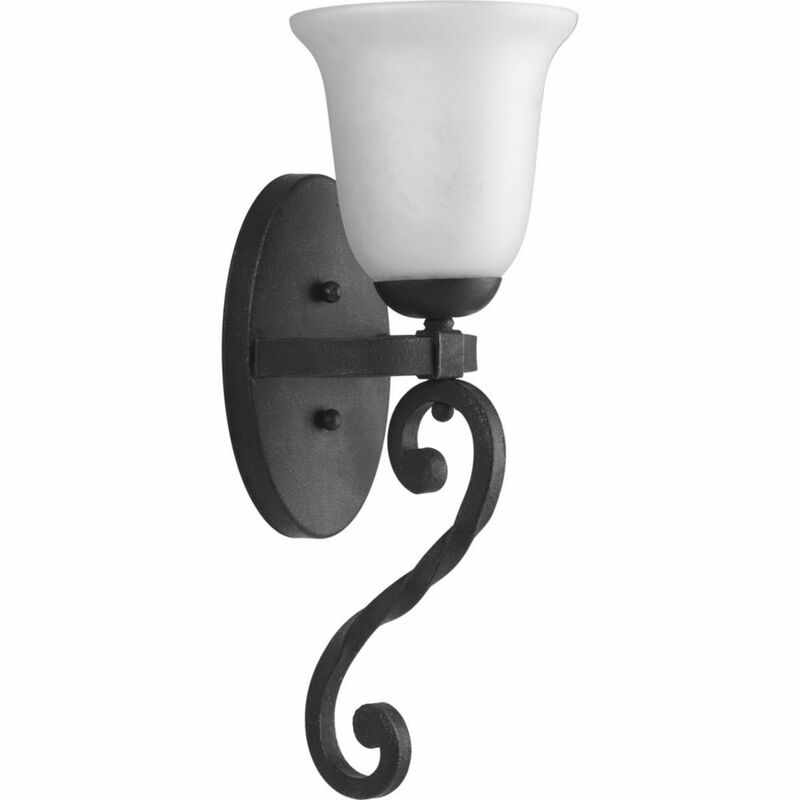 An authentic wrought iron frame and classic scrollwork accents embrace this one-light wall sconce. Features a Gilded Iron finished with rich, textured glass shades. This piece is ideal in larger homes featuring upscale style preferences. Bingo is comprised of playful circular forms that create a fun and fashionable statement. The metalwork encircles a modern white shade to provide even and pleasing illumination. Low-profile design qualifies for ADA compliance when used in commercial buildings. The Captivate collection features a striking circular frame that surrounds arching candelabra lamps. Glazed with clear seeded glass, the artful form is a rich layering of light and shadow to provide a dramatic focal point to any room. The Graphite finish provides a rich, smoky color palette to complement your dicor. Modern traditional design, commonly referred to as MoTra , is the combination of crisp geometric forms in classic shapes and materials. Hobbs delivers on this concept with an elegant beveled glass diffuser framing a vintage light bulb. The rectangular and circular fittings add a sense of classic craftsmanship for a sense of rich detail. Enclave Collection 1-light Gilded Iron Wall Sconce An authentic wrought iron frame and classic scrollwork accents embrace this one-light wall sconce. Features a Gilded Iron finished with rich, textured glass shades. This piece is ideal in larger homes featuring upscale style preferences.